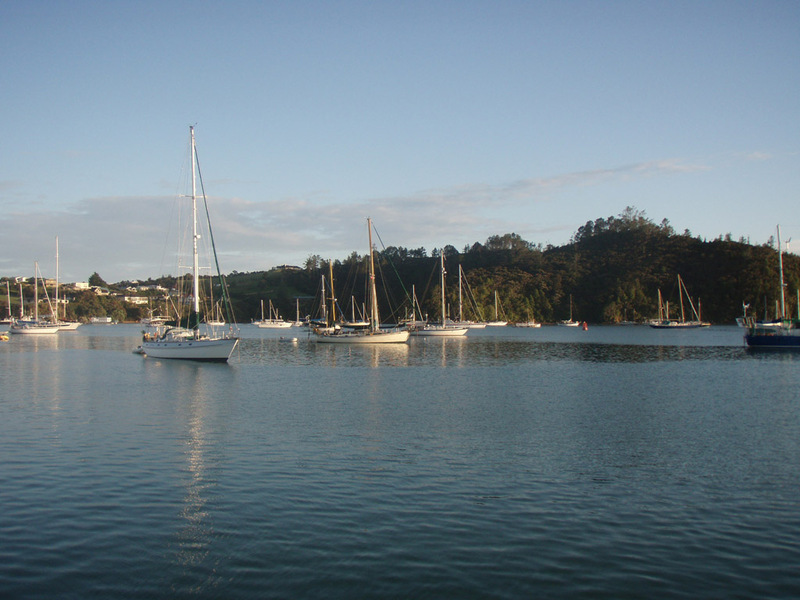 This premier New Zealand cruising ground is the perfect place to spend a few weeks or months hanging out in boats. Everything is within an easy day sail and the sub-tropical weather makes for a delightful climate. The distance from the hustle and bustle of Auckland give the place a charm and character all its own. Pleasant small towns dot the Bays and Islands and the shallow salt water bays are delightful. The region is a tourist destination for Kiwi’s and visitors. Hundreds of business are here to provide you with thrills like jet boat rides, skydiving and other boating fun. 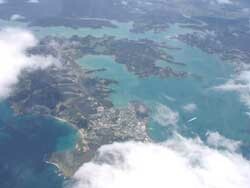 Miles of pleasant walks surround the bays and islands making for many a delightful hike. The water seemed cool after the tropics but did warm up as the summer progressed. Lots of yachties from the tropics felt the water was to cold for swimming. 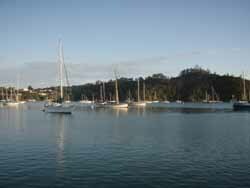 Most of the sailboats coming south to avoid the tropical cylone season land in Opua. 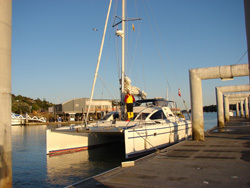 The Opua vicinity usually has a hundred or so cruising boats on anchor and more in the marina. Methinks the area around Opua has too many sailboats for the size of the Bay and apparently there is some legal action going on in that regard. But - the area has a good marine support infrastructure and you can get most things for you boat here. There is a good cruiser infrastructure and the Opua based Island Cruising Club hosts numerous boating functions. A quick slide show is here.